There are many option trading systems out there and the developers of these systems will always tell you that theirs is the one that will solve your financial problems and give you the freedom you've dreamed about. And some of them may be right. Some option trading systems will tell you that all you need is the RSI and volume indicators only, together with a few moving averages and bollinger bands. Others will focus on the ADX or the CCH indicators and their systems will focus around that. Some option trading systems will be simple and involve only going long, i.e. 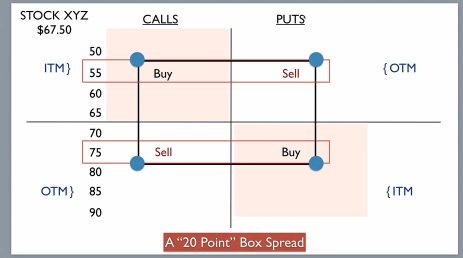 'buying to open' with the objective of selling to close at a profit within a very short timeframe. They will give you all the indicators and chart setups to accomplish this. Others will emphasise longer term strategies that rely on option time decay. Some systems will involve directional trading, that is, predicting future market direction in the short term, while others will teach you about 'delta neutral trading' and preach strategies such as straddles and strangles which can make you a good profit as long as the market makes a significant move one way or the other. All the above option trading systems may be great in themselves, but here's the best tip you'll ever get, from someone who's done it all. The most important thing is, find one or more strategies that you understand well and that you've had regular success with and just keep doing it. Don't allow yourself to get distracted by trying new strategies using real money, because you've seen the latest DVD or read some book that tells you how someone made a million with it. I remember a time in my trading life when I was using an option trading system that really worked for me. I started with about $5,000 and within a short time, transformed it into a bank account of over $20,000. I did this using a simple 'buy to open' and 'sell to close' strategy that I had learned from a guy named Kim Reilly, combined with a few straddle trades. I was doing really well. But then I became impatient. The market I was trading in didn't have the kind of liquidity that allowed me to always take a trade when I saw an opportunity. So I decided to switch from trading options to trading futures. At the same time, I was learning about 'ABC swing trading' according to W.D. Gann and changed the way I analyzed chart patterns and identified opportunities without fully understanding the context in which this system works. Now, whilst futures are far more liquid than options, they also involve much greater risk due to the amount of leverage involved. Unlike option trading, if the trade goes against you, you can lose more than your investment, so the psychology wasn't good for me either. So many times, I found myself stopped out, only to have the stock take off in the direction I had anticipated in the first place. I lost most of the money I had made from my previously successful option trading system. The point is, you need to stay focused on an option trading system that you feel confident with and that has proven itself to work for you. Don't allow yourself to be distracted by other systems that look great on the surface, but may not be compatible with your trading style or available concentration time - or that you simply may not yet understand well enough to implement effectively. Over 90 percent of trading success is about your own psychology. Unlike a regular "job" you're not getting paid for your time - you're being paid for your decisions. You have to come to grips with this! If you approach your trading with an employee mentality then you'll always feel like you have to be "doing something". Consequently, you'll be in the market at times when you should be out of it; taking trades that you shouldn't. Your mindset is the critical thing that causes you to make all your trading decisions. This is why you must enter the market with confidence, knowing that whatever system you have adopted, you understand it well, have proven to yourself that it works, know the risks and believe that with patience and discipline, it will make you a consistent income for the rest of your life. If you don't have all this, there are three little words I have for you, right here, right now. DON'T DO IT! You may have heard the expression "do one thing, do it well". This was never so true as it is when it comes to the matter of trading the markets. In this section we will explore a number of option trading systems and related subjects. So ... let's begin . . . just click on any of the linked items below that may interest you. A good option trading advisor can make all the difference between profitable trading and a struggle to just stay afloat. This service is one of the best I've found. 2. Option Trading Class reviews. The best option trading class that I have found will open your eyes to what is possible and change the way you see options forever. The best type of stock option trading course will show you how to take advantage of the one certainty that comes with options - expiration and time decay. I think you'll find this Market Club Review more than interesting. These people really seem to have it all together when it comes to providing traders with the kind of tools which give us that edge in the markets. This is a new service introduced by MarketClub specifically for options traders. Trader Travis has used the MarketClub system to consistently profit from options for many years. If you're a directional trader, you can trade along with him. 8. Trading Pro System for traders who want to trade with confidence. This system will change the way you see options forever. Discover a powerful and effective trading strategy that produces safe and consistent profits enhanced by the financial leverage and limited risk that options provide. - A much better strategy than dollar cost averaging here. Bottom fishing stocks is a term for a stock purchasing strategy which focuses on shares in a company whose stock has taken a large and decisive price dive accompanied by notably increased volume. Dave Vallieres' proprietory market indicator which has proven to be deadly accurate in virtually all market conditions. It is available for ThinkorSwim and Tradestation trading platforms. This could be one of your most profitable trading allies and great value for money. This is what the best options trading system I know of hopes to achieve. First, a consistent monthly income stream and second, a strategy for massive market profits. 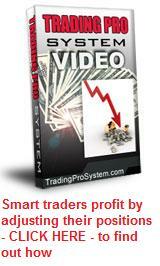 This is a very interesting system created as the sequel to the very popular Trading Pro System series of videos. It analyses options in depth and explores a number of simple but profitable strategies. Trading short term binary options can be quite an exciting way to make a living. Here we demonstrate trading strategies to successfully trade the 60 second and 5 minute time frames. The XTR ProTrader signals service by David Vallieres would have to be one of the most exciting new services for options traders that I have seen.